Are you ready for a Sewing Revolution? Ready to be Inspired? 6. Built tough with an extremely durable, precision cast iron frame instead of an aluminum frame, and all steel parts instead of zinc extruded parts, there are no soft metals used at all in the machine. 1. Professional saddle makers and leather craftsman: Gun holsters, knife sheaths, leather harness, saddles, custom handbags, horse tack, bridles etc. 2. Leather goods manufacturer: Leather belts, wallets, briefcases, leather bags, and shoes etc. 3. Mobile military workshops: In conditions where there is no electricity and repair of military equipment on the ground is necessary. 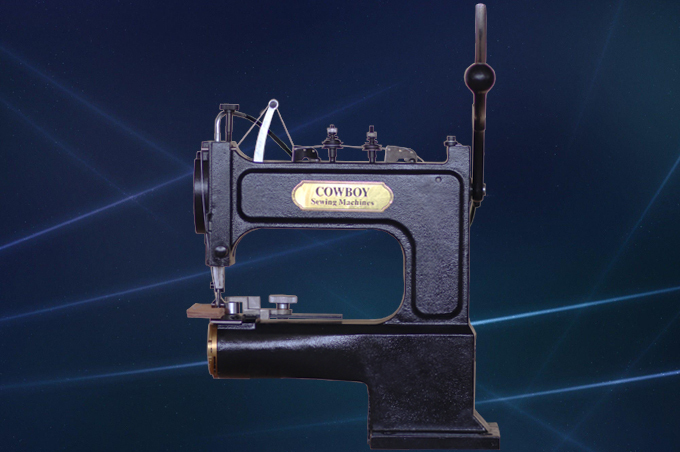 An excellent machine for sewing nylon and Kevlar straps, harnesses, tow straps, slings, and lifting harness and slings. Works well on ballistic nylon as well. 4. 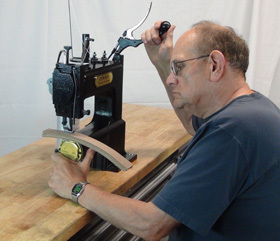 Beginner in leather work: Very easy machine to operate. One lever pull at a time creates a precise lockstitch. One of the most simple to maintain machines on the market. Very little chance of operator error as it impossible for the machine to run too fast. 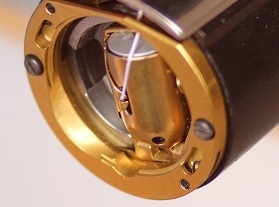 The speed is regulated by the handle pull of the operator. 5. Children and young adult safe: Children can easily learn to use, operate, and maintain the Cowboy Outlaw. There is a much reduced chance of injury when using this hand operated machine over motorized machines due to the simple design of the machine.